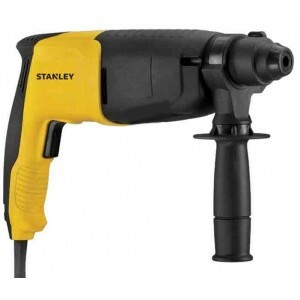 Stanley 20mm Rotary Hammer 620w STHR202kThe most compact and lightweight hammer in its class. Drilling in concrete, stone, metal, wood and steel is easy with a good quality DIY grade Black & Decker hammer. 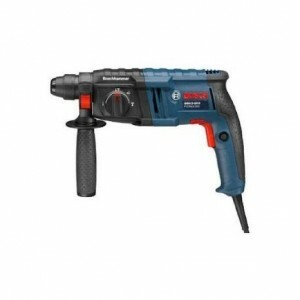 Optimized hammer mechanism del..
Bosch GBH 200 Professional SDS Hammer Drill 2kg 20mm 2mode The most compact and lightweight hammer in its class. 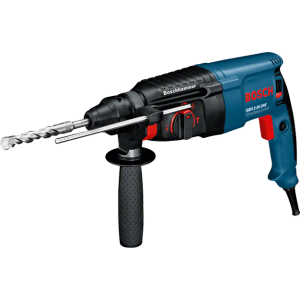 Drilling in concrete, stone, metal, wood and steel is easy with a Bosch hammer. 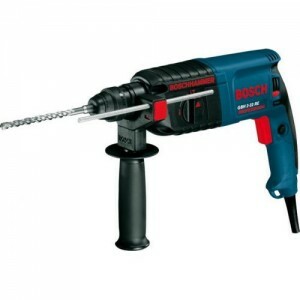 Bosch rotary hammers set standards in handiness and.. Features of Bosch GBH 200 Professional Rotary Hammer Drill : Forward/reverse operation Lock-on button for continuous drilling Soft grip for comfortable and fatigue free use .. 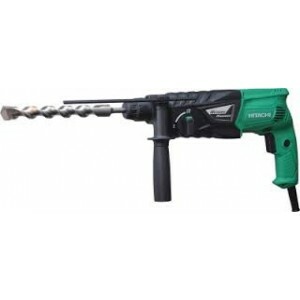 This item has been discontinued by the manufacturer and not available any moreBosch GBH 2-20 DRE Professional Rotary Hammer Drill Benefits: Powerful 600 W motor for enhanced performance Forward/re..
Hitachi DH24PG Rotary HammerHitach 730W 24mm 2 Mode Rotary Hammer - DH24PG Features : 2 - mode action : Hammer drilling and drilling only. 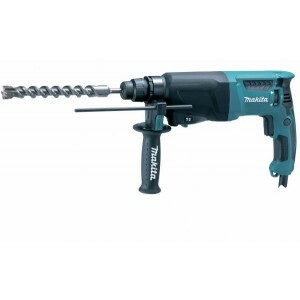 Significantly improved drilling speed through powerful motors and optimized hammering. 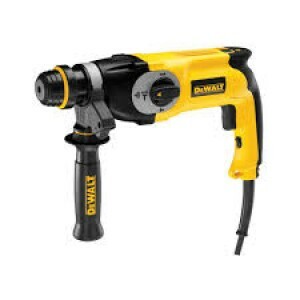 High d..
Dewalt D25011K 20mm 2mode SDSplus Rotary Hammer Drill Heavy Duty SDS-Plus L-Shaped Combination Hammer, Ideal for drilling anchor and fixing holes into concrete and masonry from 4 to 20 mm in diameter, Features : Hea..
Dewalt D25013K 22mm SDS Plus 3 Mode Combination Hammer The most compact and lightweight hammer in its class. 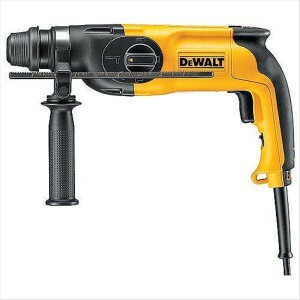 Drilling in concrete, stone, metal, wood and steel is easy with a high quality industrial grade dewalt hammer. Optimized hamme..
Dewalt D25133K Hammer Drill Ideal for drilling anchor and fixing holes into concrete and masonry from 4 to 26 mm in diameter. 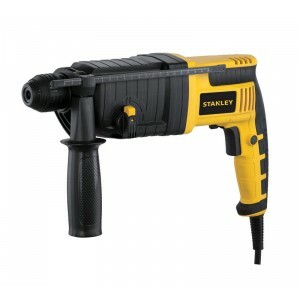 Impact-stop for drilling in wood, steel, ceramic and screwdriving applications. 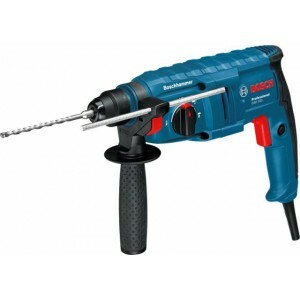 Rotation-stop for light chi..
Bosch GBH2-26RE 26mm SDS Rotary Hammer Features : Impact stop for drilling in wood and steel. 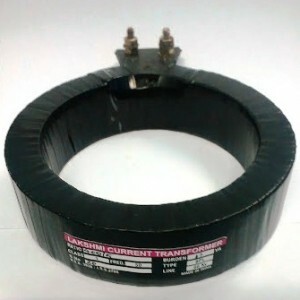 Ball grommet for preventing cable breaks. Softgrip on main handle and auxiliary handle. 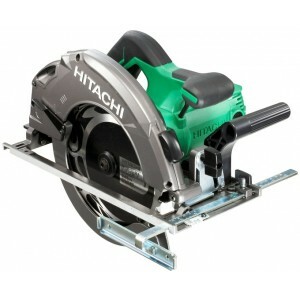 Overload clutch Tec..
Hitachi DH26PC Rotary Hammer Powerful motors and optimized hammering to improve work efficiency. 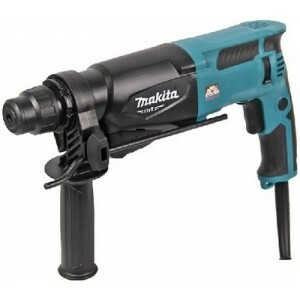 When using a cold chisel or cutter, the orientation of the tool tip can be adjusted by setting the change lever as shown on the left.SPECIFICAT..
Makita Rotary Hammer DrillModel no: M8700BSpecifications:Size: 22mmPower: 710wSpeed: 0 - 4350 rpm Capacity: 22mm (7/8") on concrete, 32mm (1-1/4") on wood, 13mm ( 1") on metalCable length: 5m..
Stanley STHR223K 22mm 720W 3 Mode SDS-Plus HammerDescription :Safety clutch eliminates sudden high-torque reaction should the bit jam. 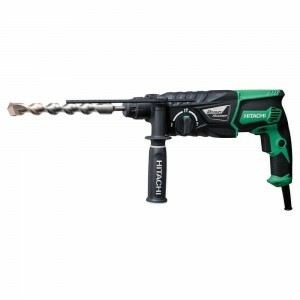 3 Modes : Rotary drilling, hammer drilling and chiseling mode for all job-site applications. 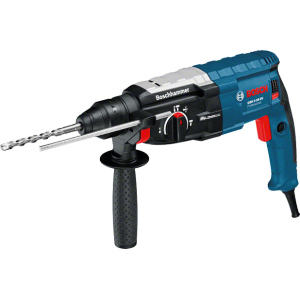 Heavy duty type kit bo..
Bosch GBH 2-26 DRE SDS Rotary Hammer Drill 26mm 3mode with 3 drill bitsBosch GBH2-26DRE 26mm SDS Rotary Hammer Impact stop for drilling in wood and steel. Ball grommet for preventing cable breaks. 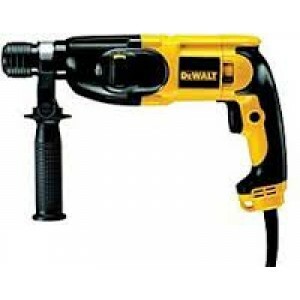 Softgrip on main handle and auxiliary ha..
Dewalt D25123K Hammer Drill Ideal for drilling anchor and fixing holes into concrete and masonry from 4 to 26 mm in diameter. Impact-stop for drilling in wood, steel, ceramic and screwdriving applications. Rotation-stop for light chi..
Makita HR2610 Rotary Hammer DrillCompact and lightweight tool design, ergonomic handle and many other features designed for more comfort and better control 3 modes : (Rotation only/Rotation with hammering/Hammering only) Double Insulat..
Bosch GBH 2-28 DV Professional Rotary Hammer with SDS Plus Advantages: The most powerful tool in its class 1.Highest drilling rate and highest chiselling performance in its class 2.25% longer lifetime than other rotary hammers in its cl..